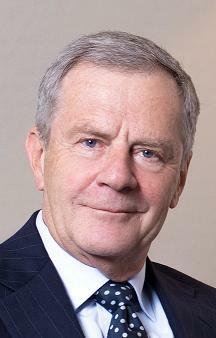 Paul Menzies QC is a barrister at 8 Wentworth Chambers in Sydney, NSW. After 5 years practicing as a Solicitor in Sydney and London, Paul was called to the Bar in 1973. He took Silk in 1988 and currently practices from 8 Wentworth Chambers in Sydney, Southern Highlands Chambers in rural New South Wales, with Devers List in Melbourne and in Singapore. Paul is a graduate in Law from the University of Sydney. He s a member of the Institute of Company Directors, a member of the CIArb, and ACICA and a practitioner of the American International Commercial Court and the Dubai IFC Court. Paul has an extensive practice as a Mediator and accepts appointments as arbitrator or counsel in commercial arbitration, nationally and internationally. Paul appears as an advocate at both trial and appellate level in commercial law, particularly insurance, guarantee, unconscionable conduct and mortgagor/mortgagee, breach of confidence, restrictive trade practices, and employment law issues, Administrative & Constitutional Law. He is co-author of the Chapter on Guarantees in Laws of Australia (LexisNexus). Paul has extensive experience, mainly representing the state (particularly Police and Corrective Services as defendant, but also for Plaintiffs in negligence and international tort claims, usually involving damages including PTSD). Judgments, in the District and Supreme Courts, the Court of Appeal and the High Court, will be provided upon request. For virtually the whole of his professional life at the Bar, Paul has appeared for Governments in a broad gamut of areas extending through most aspects of administrative law (including workplace relations), constitutional law, contract and common law generally. As a result of his relationship with Government, Paul has gained considerable insight into the workings of the executive Government and the Public Service and is sensitive to the nuanced approach which needs to be taken when either appearing for or against Government. He has appeared in most administrative and quasi-judicial tribunals including the State Industrial Relations Commission, the Conciliation and Arbitration Commission and its successors, Administrative Decisions Tribunals, and professional disciplinary bodies. He has appeared on behalf of institutions or persons, either the subject of the enquires or witnesses, and as Counsel Assisting in a broad range of inquiries, significant Coronial Inquests and Royal Commissions.